Weird things in jars. That’s how best to describe the Grant Museum of Zoology. Not for the squeamish, this offbeat museum in London is one of the oldest natural history museums in the country and is a collection of the weird, the wonderful and the wild. In fact, it is crammed full of formaldehyde conversation pieces as “oooh” and ahhh” echo through the room stuffed with 68,000 zoological specimens, skeletons and species in crammed cases of curiosities. The last time we looked at weird stuff preserved in jars was in Iceland at the Icelandic Phalollogical Museum. The Grant Museum is a rare collection of the critically endangered, the dead as a Dodo and rare remains. A Quagga skeleton, preserved brains, skinned cats, bisected monkey heads all make an appearance, even a glass jar of moles that has its own Twitter account @glassjarofmoles. A superb space of slides, the Micrarium is a back-lit broom cupboard of microscope slides of over 2000 tiny specimens and sliced through small animals. Beetles, bugs, bits of mammoth and other dissected members of the animal kingdom grace this small place. The Grant Museum of Zoology dates from 1828 as a teaching collection and is a hands on museum with students studying and sampling. Even members of the public can get their hands dirty cleaning up pieces of whale bone at the #whaleweekender we saw this weekend. If that doesn’t do it for, you can adopt a specimen for £15. 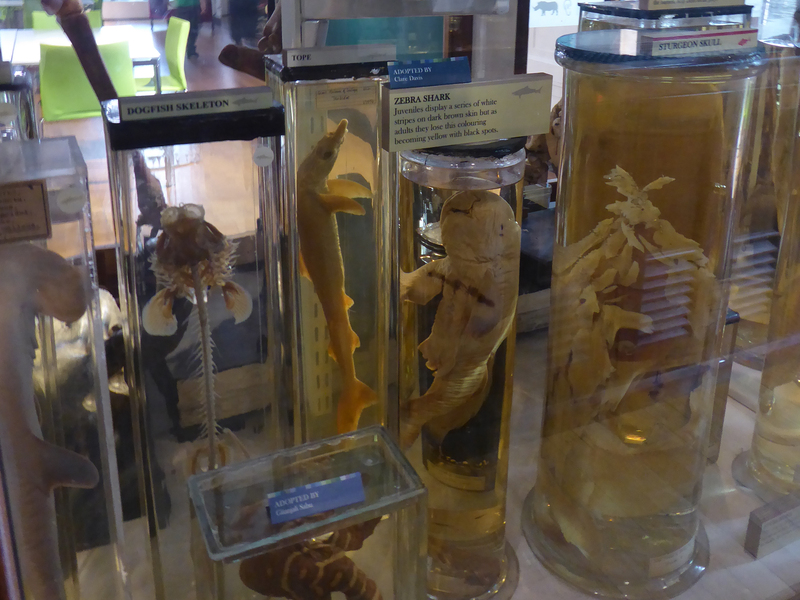 It’s unique, its beautiful, its a bizarre bazaar of jars, the last zoology in museum in London deserves your time.